Lancelin Townsite Sewer Infill – engaged by the Shire of Gingin to continue the infill sewer programme for Lancelin. Our review identified that there would be significant cost and impact on the local community through the development of a gravity system in the established town site. 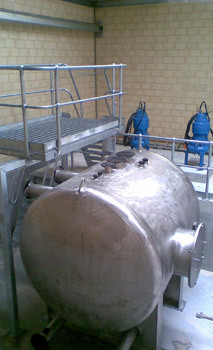 The Water Corporation and the Shire of Gingin subsequently adopted a vacuum sewer system. The vacuum sewer network leading to small sections of gravity sewer was designed and documented by our office together with Flovac and Architectural Design Studio. Manjimup Local Planning Strategy – undertook the assessment of infrastructure networks and requirements for individual town sites with the Shire of Manjimup; reviewed overall road, transport and communication networks leading to identification of opportunities for the expansion of each town site. Kwinana Town Centre – undertook the detailed investigation and preparation of servicing strategy for subdivision and development of the Kwinana Town Centre as part of the Town’s strategy to grow and improve the central retail, educational and business area. Avon Arc Townsite Expansion Study – a planning study of town sites in the Avon Arc area for the Ministry of Planning. Provided input on infrastructure servicing capacity leading to identification of opportunities for the expansion of each Town. Eastern Hills Settlement Patterns – Planning study of the Metropolitan Eastern Hills area to develop a settlement pattern to guide future urban expansion; provided input on infrastructure and traffic networks and servicing capacity. Towards Optimizing Kwinana – Major study for the Department of Resources Development to examine future opportunities for the existing Kwinana Industrial Area. Provided input on infrastructure, traffic, transport and land use to develop strategies for optimising the land use and opportunities for further industrial integration. Fitzgerald Street Northam improvement – part of the community consultation and design team commissioned to revitalise the main street of Northam following the creation of a Town bypass. The project required complete redesign of drainage, paths and the carriageway including pavements. Emphasis was placed on retaining the character of the area and making the environment more conducive to pedestrians and shopping. Our innovations in traffic management reduced speed yet enbled the continuation of the Northam Flying 50 historic motor racing. Stirling Terrace, Toodyay improvement – prepared the design for the revitalisation of the main street based on concepts created through community consultation. The emphasis was on a slower speed environment for shopping while still allowing significant though traffic. The designs required revision to the road profile and geometry, a complete re-shaping of paths and verges and upgrading the drainage system. Bannister Road, Boddington – designed and managed drainage and sewer upgrades to the main street of Boddington; currently completing the design and contract administration for the upgrade of parking areas, provision of pedestrian refuges and traffic management islands along the length of Bannister Road. Chesterfield Road, Mirrabooka – completed the detailed design, documentation and contract administration of the Northwood Grove development, part of the redevelopment of the Mirrabooka Town Centre. The works included significant road upgrades and beautification works to the main street (Chesterfield Road) through the Town Centre. Extensive consultation with service authorities and abutting retail businesses was required to minimise disruption to businesses and services. Porter Consulting Engineers has been engaged by state and local authorities to review or prepare drainage improvement plans for land use changes. The investigations identified existing drainage systems, assessed their capacity and the impact of further discharge to the systems. Drainage modification or upgrading proposals were then developed. Mitchell On Avon, Northam – design, documentation and contract administration for construction of an urban renewal water supply and sewage system. Lancelin Townsite Vacuum Sewerage and Pumping Station – Porter Consulting Engineers, Flovac and Architectural Design Studio undertook the design and construction management for the state-of-the-art vacuum pump station to service the recently installed vacuum collection system. Porter Consulting Engineers is extending the collection system to the commercial centre. Logue Street, Waroona – planning, design, documentation and management of the main sewer extension to service new residential subdivisions in Logue Street. 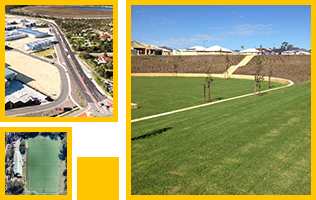 Chemeq Industrial Subdivision – commissioned by LandCorp to undertake the subdivision road and service works to allow the development of the Chemeq project in the East Rockingham Advanced Materials Park Precinct. A review of the overall sewer strategy for the area was conducted requiring extensive liaison with the Water Corporation to gain acceptance for non-frontal development and the creation of temporary wastewater pumping stations and pressure mains. The placement of these allowed for just-in-time development of specialised industries.